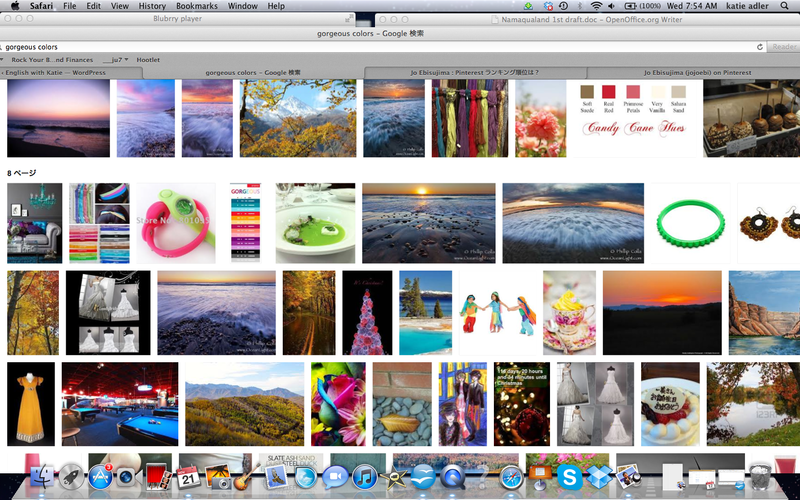 I Googled “gorgeous” and then clicked images and, truly, gorgeous colors came up! You try…. What sentences can you make about these pictures using gorgeous? 英語 女性 ナレーター ケイティ・アドラー http://www.katieadler-vo.com/#!__home-japanese the Perfect Vocal Touch--I am a voice over artist for NHK, Panasonic, Mitsubishi, etc! Phrase of the Day--I am the creator of tweets and videos for daily English practice immersion! --Mono-logues; Mono-fun--I am the publisher of English language materials for self-study! I am very happy to be living and working in Japan surrounded by wonderful people in a fabulous environment! A++ English Starts Jan 7, 2013 I would love to work with you! Enter your email address to get A++ English Information!!! Twitter はこちらです。Twitter English with Katie!!! Season’s Greetings from Randy’s Kitchen! Tickle Pink! Knock Socks Off!! WOW!! !